Spring can spell a beautiful new beginning as the flowers bloom and seasons warm. However, for many of us September means two things, magpies and hayfever. Magpies aside the extra pollen in the air spells inevitable suffering and below is our complete guide to hayfever to help you enjoy the beauty without the impending beast. Hayfever is an allergic reaction to environmental allergens. Also known as allergic rhinitis which means “an allergy that affects the nose,” hayfever is the noses reactive swelling to airborne particles which the body wrongly identifies as a threat. 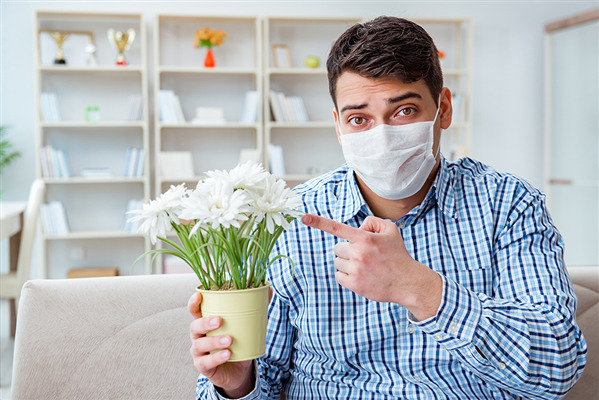 As a result hayfever is most commonly experienced during the Spring as airborne pollens from grasses and flowers are at their peak. The following are some of our best tips to avoiding hayfever this Spring. 1. Avoid being outside on humid and windy days. Close doors and windows to your house during these times. 3. Wash your face and shower after playing outside. Pollen will stick to the body. 6. Clean your house regularly. 7. Give yourself a nasal barrier such as Vaseline or a similar balm. 11. Wash your pets when they come indoors and avoid letting them in your bedroom or on your furniture. 12. Consult with your GP if you suffer badly from symptoms.